Are you getting the most from your shower? Here's 10 tips to transform your shower now! Posted By Alex, 14th Dec 2017. 3 Minute Read. A good shower is a vital part of your day-to-day routine. After a long day of work, or part of your morning ritual, a shower leaves you feeling fresh, reinvigorated and clean. The problem is, shower enclosures won't inspire you forever and may require a tiny update from time to time. 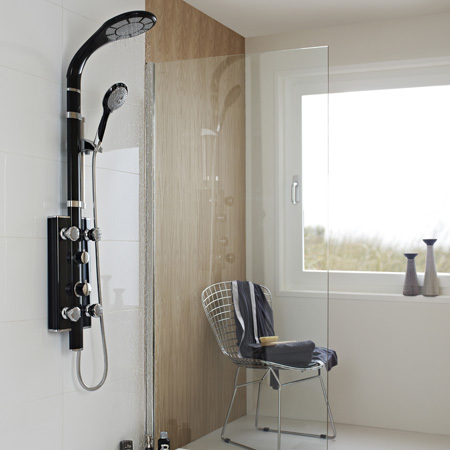 If yours is in need of modernising here are 10 changes you can make to boost your shower power! They look fantastic and provide revitalizing, full-body shower. Also, there can be certain health benefits with rainfall shower heads, as it gives your scalp a break from being blasted with full-pressure, instead providing a gentle rinse of softly falling water. Like the name suggests, it’s like standing in a beautiful, refreshing rainfall. Some of us prefer the high-power approach, however If this is you then you could fit a shower pump to your existing shower system. It is easy to do and you will love the powerful, massaging spray that makes your shower feel like a high end luxury hotel. Still want to know more about shower pumps? 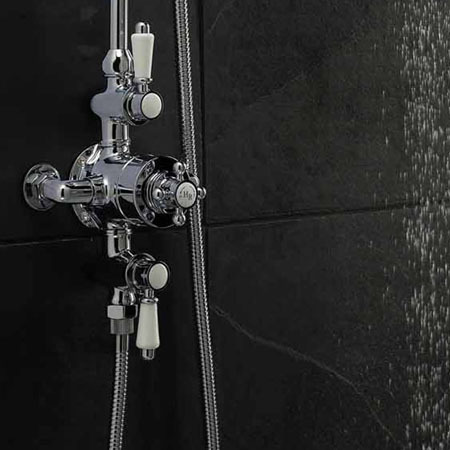 Here we explain all you need to know about shower pumps! One of our favourite tips; by adding more outlets to your shower system you can transform your bathroom into a luxury spa. Include a shower handset for a more direct, controllable spray, or install a set of body jets that make your shower not only look more expensive and luxurious, but provide a muscle relaxing, full-body spray. Why not try a frameless shower enclosure? A sumptuous focal point to your bathroom, frameless showers have a smooth, contemporary look give you that added peace and privacy when you shut the world out and shower in a stylish shower area. Consisting of an open plan shower, a recessed floor and usually beautiful tiles. You can transform your normal shower setup to one of these genuinely breathtaking centre-pieces, with beautiful tiling and a shower screen. A wetroom is a true bathroom luxury, and sure to get friends and neighbors talking! We have a guide online to renovating your bathroom into a wet room, however if you do not feel comfortable taking on this job, then we would always recommend hiring a professional. Another luxury option, shower cabins can turn your bathroom into a futuristic space for you to refresh and reinvigorate. Often including body jets and steam options, and sometimes even a bath feature, shower cabins are the ultimate in shower enclosures. A good way of giving your bathroom an aspirational lift, and reinvigorating one of the most important rooms in the house is to cleverly use bathroom accessories. Shower towers can transform your shower into a sleek, contemporary statement shower - lots of chrome, and sloping, ergonomic designs. You could also try a bold, statement valve. this would give you the option to go for a more traditional style or a modern style, as there is a whole range of traditional exposed valves, with lots of beautiful metalwork and gorgeous cross head designs. Whatever way you go when accessorising your bathroom, the real trick is to go bold - don't choose a feature to fit in with the shower area, but to define the shower area. Remote controlled showers really are the next step in bathroom luxury; you can warm up your shower from a second location, set your shower to a range of slow-rates with a touch of a button, save your favourite settings so you always have your ideal shower, and even turn over to an eco-setting in order to save money and be a little more green. OK, not quite the luxury upgrade like some of the others, but keeping simple shower squeegee and giving your shower screen a quick squeegee after each shower can not only save you time in the long run as you get a head start on the cleaning, but can go a long way to having a beautiful, sparkling and streak-free shower that is the envy of your friends and neighbours. Hopefully, we have inspired you to make a change today, and make the most out of your shower. If so, send a picture in to info@victorianplumbing.co.uk - we would love to see your DIY snaps! See you again soon for more bathroom ideas;news, how-to's and style guides! From small items to full restorations, we take a look at how to give your bathroom a unique image.